Thailand has so many places you can visit. There are unusual and authentic locations worth exploring in the Northern provinces that are not regarded as a place you can tour, compared to other regions in Thailand. 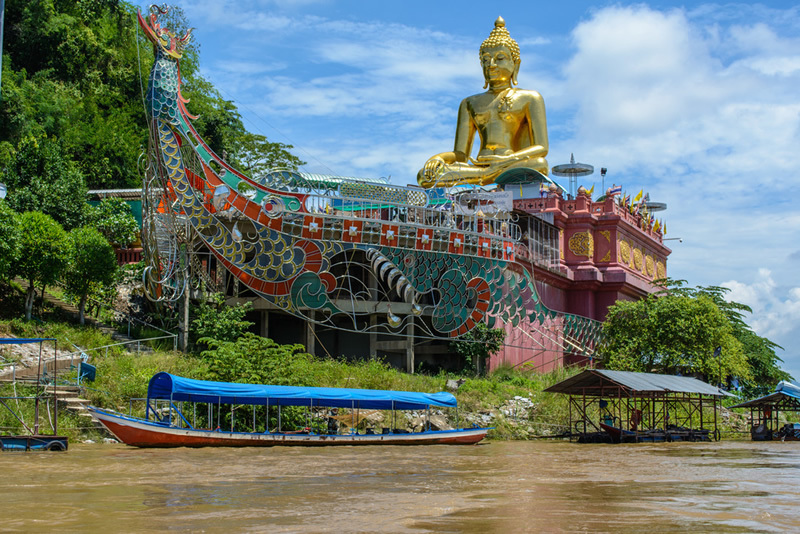 You should visit Northern Thailand if you are interested in a slower pace and a genuine Thai experience and check out any of these 15 top places to visit. There are several fun-loving activities you can do in Northern Thailand, here are the top 10 things to do Northern Thailand. 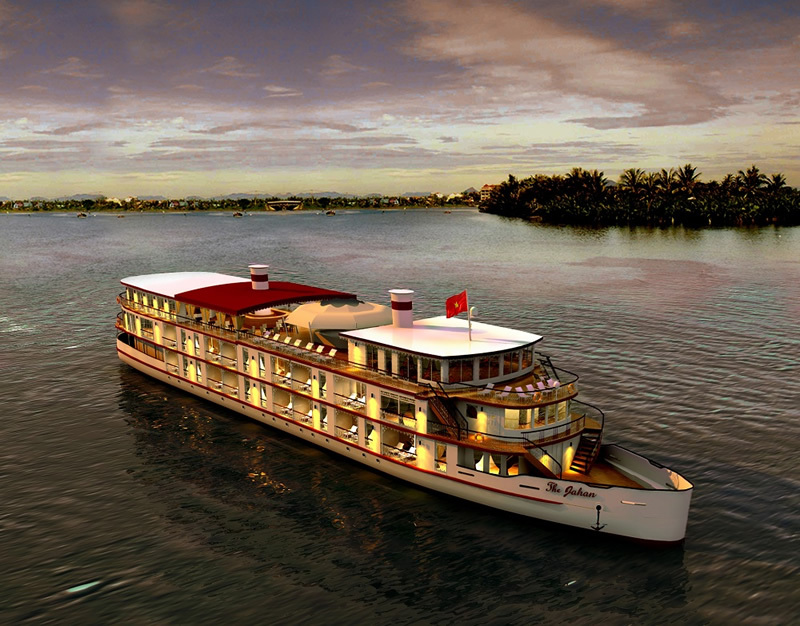 Have you heard about the mighty Mekong River? It is an expansive river that separates Thailand and its neighbor country Laos. You can take a cruise along this river from Chian Khan to Luang Prabang on the Laos side, it is very beautiful and exciting. Just a day trip along this river will give you the perception of the people who live around and it is quite lovely. The elephant park is a fantastic eco-tourism site. The reason it was created was for the abused and neglected elephants, so it serves as a rescue and rehabilitation center for them. In the world, it is regarded as one of the few elephant sanctuaries. Tourist troop in to see these elephants and also learn the plight and history in Thailand. 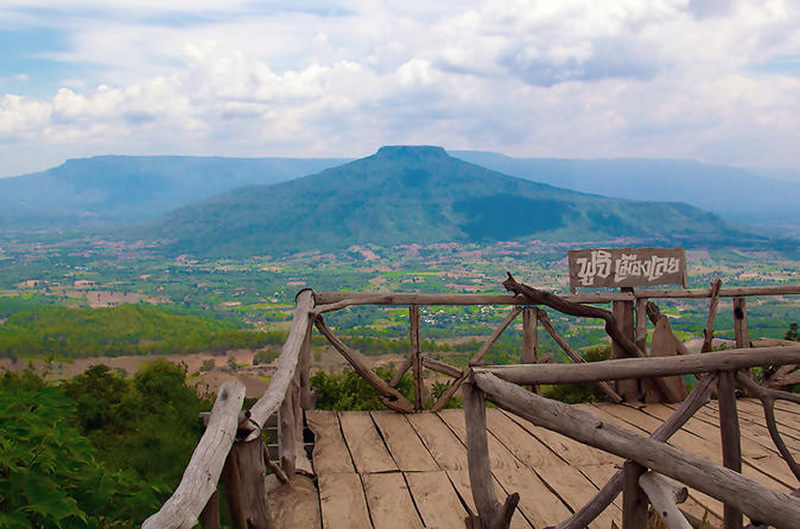 Phu Ruea is one of the largest national parks in Thailand. It was famously known for its thick fog and its great views of the entire place. Its cooler and persistent fog has made it a wonderful and unusual place to explore. Although you may be hoping for a perfect day when you come here to explore, unfortunately, the fog is unpredictable, but that makes it more fun when exploring this gorgeous park. In Northern Thailand, there are tributaries and rivers that provide outdoor water and rafting recreation. 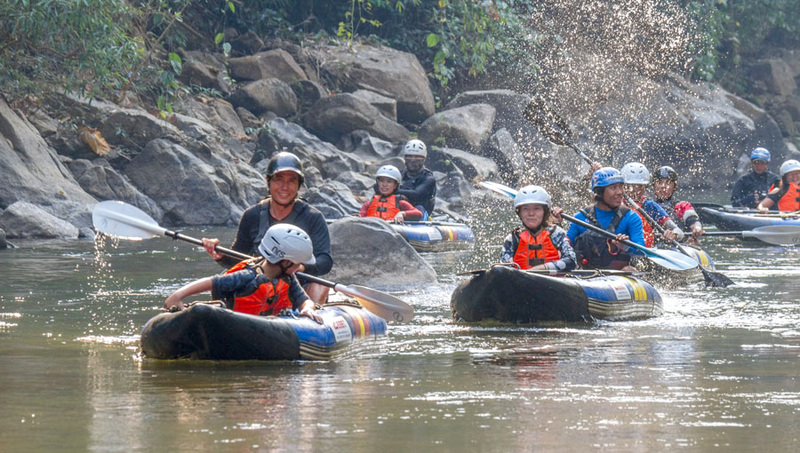 The Mae Taeng River or Po River is one of the most popular places for enjoying rafting and other outdoor activities, it is about an hour drive north of Chiang Mai. This area serves as a place where rafting companies offer series of easy to more challenging parts of the river. 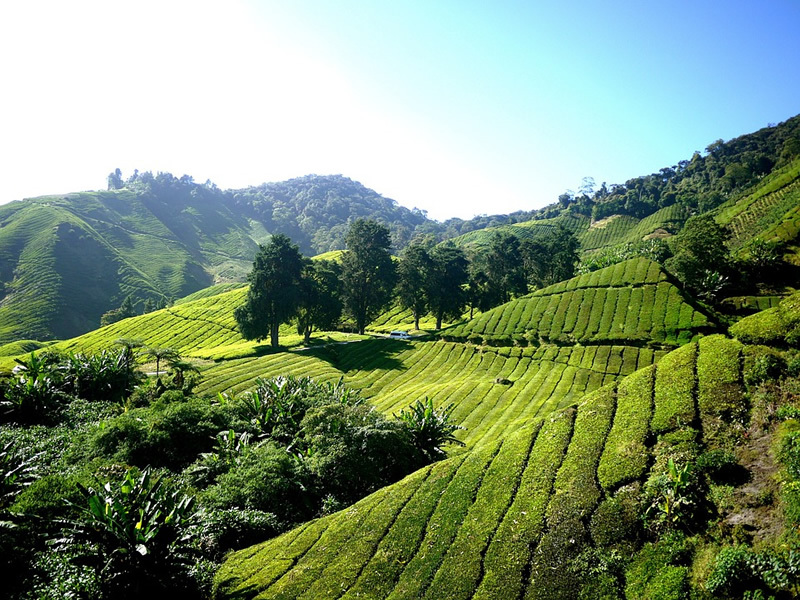 When driving from either Chiang Mai or in Chian Rai province you will see a variety of tea plantations. There are also up in the cooler mountain, this region is where many of the hill tribes live and they also work on these plantations. The popular Oolong, black, green and white teas are grown and gotten from the tea plantations here. It is interesting to also know that few of the plantations are open to the public for tours and tasting, isn't that lovely? At Bhubing Palace, just after the famous Mount Temple is the royal family's private residence. It is just outside of Chiang Mai. It is one of the largest Northern Thailand city you can fly to and the grounds are open to the public. The outdoor spaces and the gorgeous gardens are a huge tropical garden. 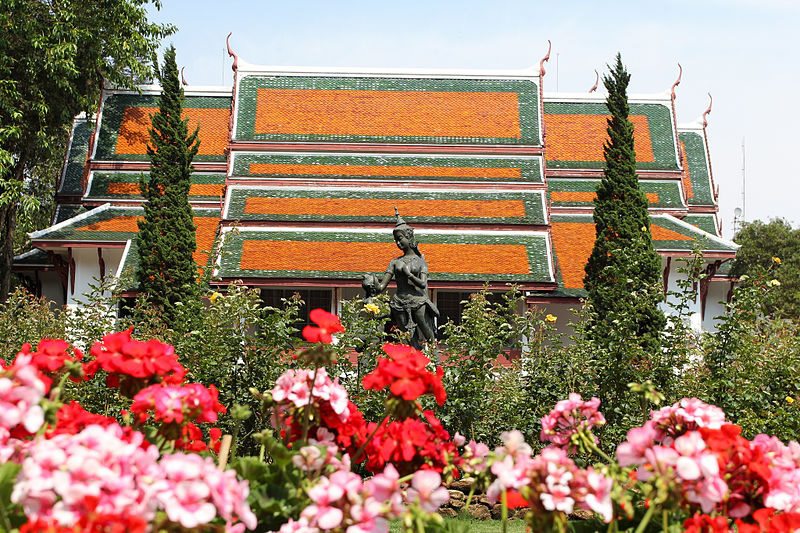 Already, from the set-up of the royal complex, visitors know how the Thai royals live in their palaces in the summer and the other seasons like the temperatures at Chiang Mai. There are this hippie and Thai fusion like the city just about a drive north of Chiang Mai. Recently, we have come to realize that this city and area has been very popular. If you are looking for really authentic experiences in the north of Chiang Mai, you can explore the funky town of Pai and have the best time of your life. It is not only the beautiful landscapes with rolling hills, canyons and other panoramic views this town is gifted with, you can also visit shrines, beautiful temples, waterfalls, a giant white Buddha and so on. Outside, Chiang Mai is an iconic must visit the temple. It has a gorgeous view when you view from the hill because it is located on a hill. From the myriad of taxi drivers, this temple was nicknamed is Doi Suthep because the taxi drivers will want to drive roundtrip for a higher taxi fare. For a cheaper price on the round-trip fare to the temple, you can take the small buses.